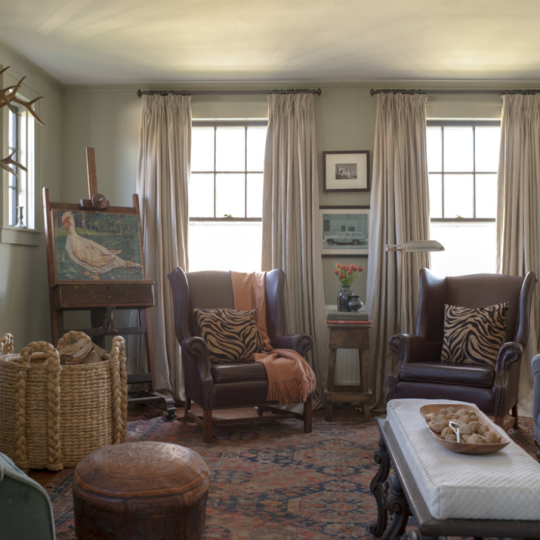 Talie Jane Interiors is honored to collaborate with Clear Creek! 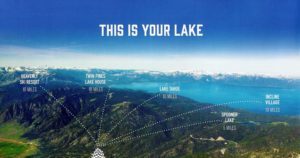 Clear Creek is Lake Tahoe’s newest mountain community. With a myriad of amenities, including one of the top golf courses in the country, Clear Creek is the epitome of a private, four-season, natural refuge. “Our goal is to set the stage for magnificent life experiences,”(1) says Leisha Ehlert of Castle Hill Partners, Clear Creek’s capital and operational partner. And that is certainly what Clear Creek and Tahoe have to offer – life experiences. From hiking, boating and golf to downhill skiing, cross-country skiing and snowshoeing you will experience all of life’s pleasures. It’s no wonder Clear Creek real estate is a hot commodity. With lots ranging in size from .5 to almost 5 acres, your custom dream home awaits. 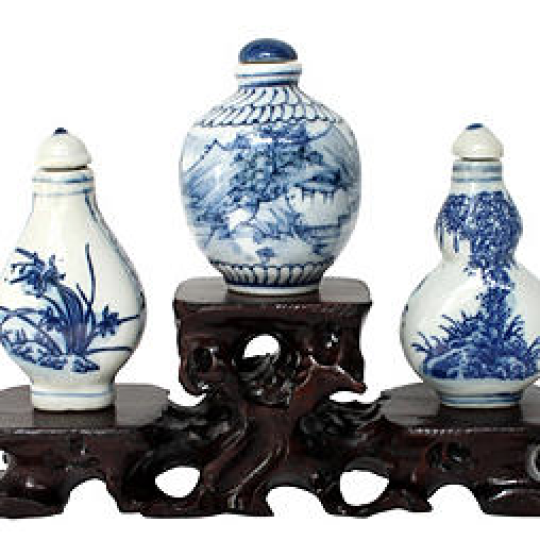 And, Talie Jane Interiors is only minutes away, ready to collaborate with you to design and build your mountain oasis. 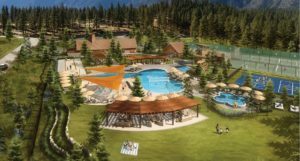 The Clear Creek Tahoe community sits amidst the irreplaceable natural beauty of the Sierra and the Lake Tahoe region. 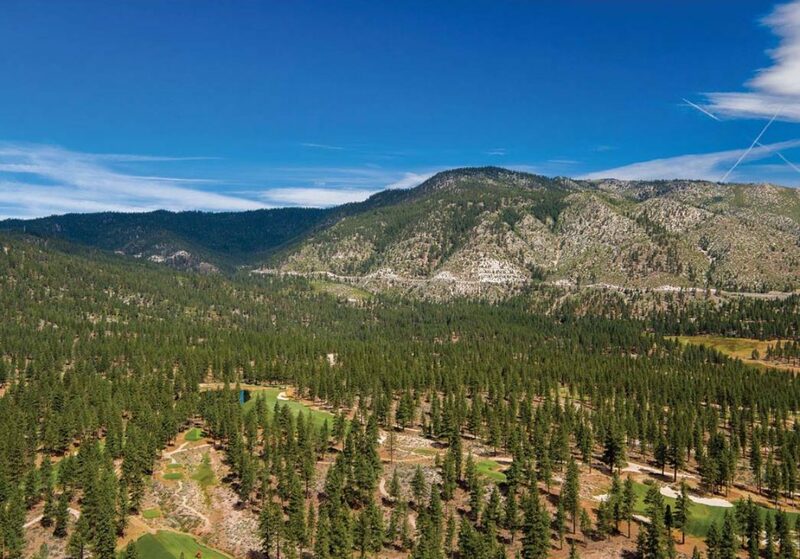 Set on the eastern slope of the Carson Range, it is conveniently located 20 minutes from Incline Village and the ski slopes of Heavenly and even closer to Carson City. Yet it is spectacularly unspoiled – 2,136 acres surrounded by six million acres of the largest national forest in the lower 48 states. 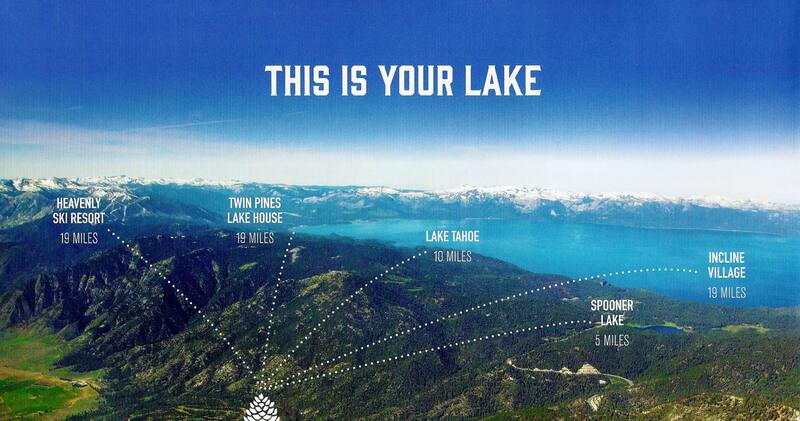 It truly is Tahoe’s Natural Wonder. Too, Clear Creek is advantageously located on the Nevada side (vs California) of Lake Tahoe. Nevada residency means no state income or inheritance tax! A private community and club since inception, the site’s land is a natural refuge and an optimal place to call home. 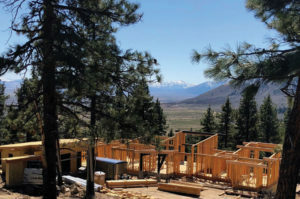 Clear Creek Tahoe’s first building phase features 121 estate homesites in a forested setting ranging from ½ to almost 5 acres. 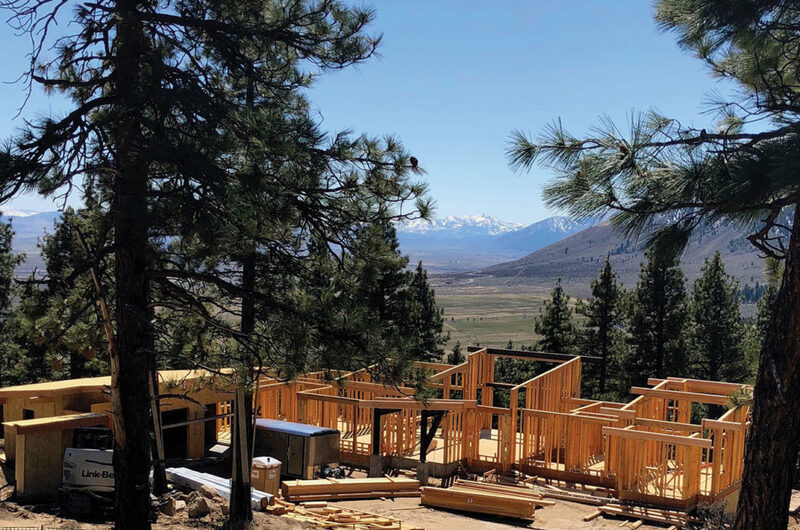 With the intent of preserving the integrity of the golf experience, homesites fronting the golf course have significant setbacks, while other homesites enjoy mountain or Carson Valley vistas. 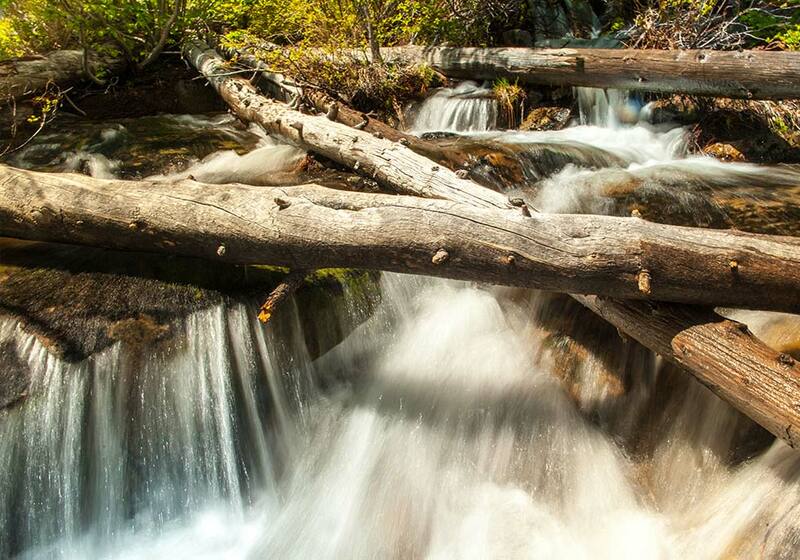 The homesites at Clear Creek Tahoe are as dramatic and diverse as the land itself. The property offers captivating site features such as dramatic rock outcroppings, diverse topography, spectacular long vistas and secluded wood settings. The onsite sales and design review teams are invaluable resources to assist in your initial lot selection. Each lot comfortably accommodates floorplans for 2,000 – 3,000 square feet. Clear Creek has custom builders who have already broken ground to plan an accelerated and personalized timeline of delivery. Almost half of the 56 exclusive Mountain Cottage Homesites have been spoken for. Just a short walk to the clubhouse, this is the perfect place to retire after a day on the lake or a lap around the track. Building your custom home at Clear Creek has never been easier, several preliminary designs are available for your consideration. Georgia Chase, representing Chase International Real Estate, is your number one resource for Clear Creek property. As part of the historic Clear Creek Ranch, the property has had a connection to Lake Tahoe, Carson City and Virginia City since the mid 1800’s. Clear Creek is located in the center of the fictional “Ponderosa” of Bonanza fame, and has been utilized for over 150 years by various cattle operations. In fact, the property historically held timber flumes that carried logs from Spooner Summit to the mines of western Nevada. The timber operation was that of D.L. Bliss, a prominent and enterprising entrepreneur around the lake. Even Swift’s Station pavilion on the golf course is so named for the wagon train stop that was located just below the eastern summit of the Sierra Nevada mountains. Each property represents Clear Creek’s vision of sustainability – protected and preserved for future generations. This is a unique opportunity to be part of a bigger purpose, a chance to become more than a member – to be a steward of the land. Clear Creek believes in the privilege to protect this truly unique environment; to strive not to just build, but to restore and maintain the natural landscape for future generations. To ensure that its 2,136 pristine acres stays this way forever, Clear Creek has placed 853 acres into a permanent conservation easement with The Nature Conservancy. Indeed, Clear Creek takes its stewardship of the land seriously, even as it redefines the story of the land for years to come. As a member, you too will be an important part of the restoration and preservation of some of the most beautiful property in the Sierra. As a steward of this landscape, you will be connected to this sensitive and vital ecosystem with other like-minded members. One reason why Tahoe is so popular is its consistently excellent summer weather, sunny and warm, but not hot, with virtually no rain at all. It is absolutely perfect golf weather day after day after day! And as luck may have it, the Clear Creek Golf Course is truly at the heart of it all. This is how golf was meant to be. Little earth was moved, yet the experience is completely moving. Weaving effortlessly through the Jeffery, Sugar and Ponderosa pines, Clear Creek is eighteen short stories, each unique, each a chapter in a singular work of art. The name says it all … everything you’d need for a day on the links and all the little essentials you may have forgotten. So, whether it’s a full set of clubs fitted for your game, a new stylish wardrobe for the course, or a grab-and-go nosh to take home for lunch, half the fun is browsing and scratching that retail itch. Clear Creek’s American Bistro concept extends from the mountain to the lake, offering creative new approaches to the classics. Whether it’s a grab-and-go lunch for the trail, a picnic on the beach, an energizing lunch at the turn or sunset dinner with 50-mile views all the way to Yosemite, you’ll only be hungry for more. 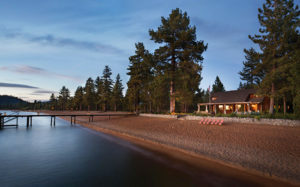 Clear Creek is writing a new chapter on Lake Tahoe at Twin Pines, its private members’ retreat on the lake. Twin Pines is the loving work of famed California architect Julia Morgan. Credited with some 800 buildings, among them Hearst Castle and countless Bay Area landmarks, her work on the shore of Lake Tahoe is a wonder of simplicity and craftsmanship. Twin Pines will be as she intended – a vibrant home to families savoring long, languid, carefree summer days and warm après ski gatherings around the fire. In her honor, Clear Creek has preserved and protected this jewel beside the lake. It features 180 feet of shoreline that leads to one of the longest, most pristine beaches in all of Lake Tahoe. Its amenities include a long deep-water pier and buoys for summer boating. And in winter, Twin Pines becomes your base camp for skiing at Heavenly – your boots are warm and waiting in the morning, your beverage warm and waiting for après ski. We look forward to working with you to design and build your custom home at Clear Creek. 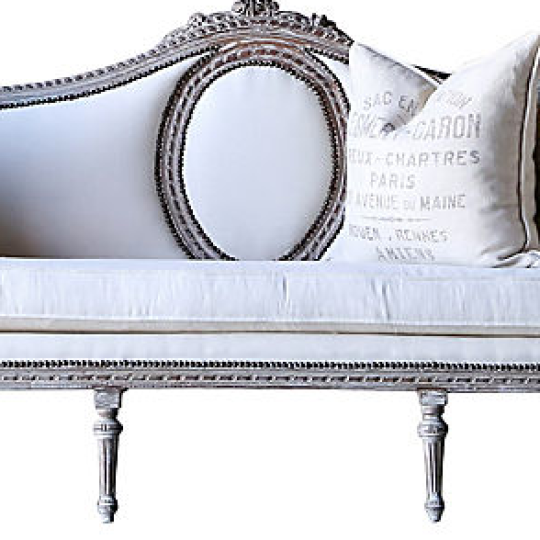 Please contact us at 855-TALIEJANE or Natalie@TalieJaneInteriors.com.